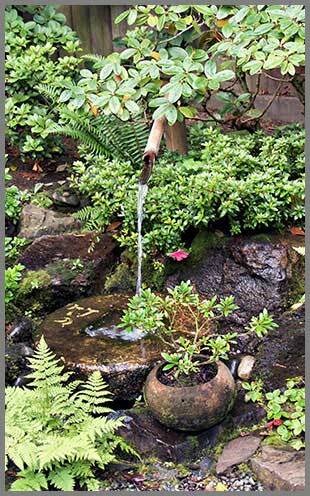 Japanese Garden Design - Asian Zen Garden Design : offers unique Japanese Garden Design - Asian Zen style garden landscaping, a professional service company that builds and enhances the environment that we share in the greater Western Washington State area (The Great Pacific Northwest). 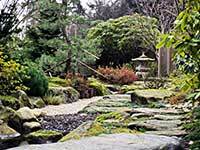 SEATTLE, BELLEVUE, KIRKLAND, RENTON and REDMOND (WA) Washington State area is covered as our main locale of Japanese landscape and garden design, construction, and builders service. 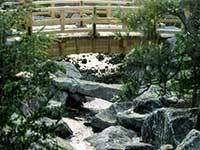 A complete Japanese landscape design to Japanese garden maintenance, restoration, renovation, builder, construction and design services firm. 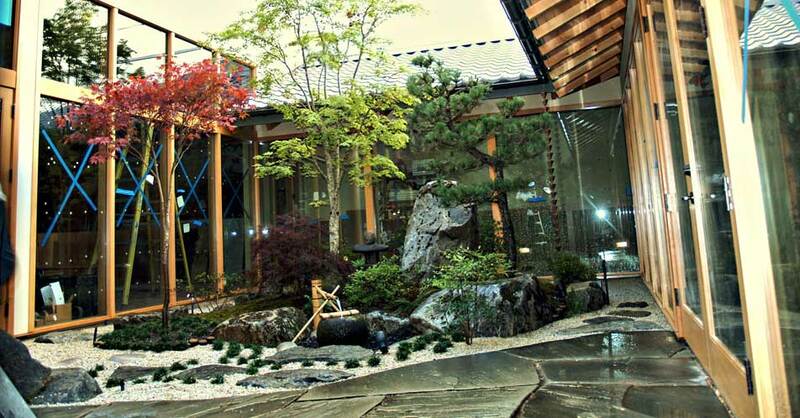 Over 20 years of experience, Zen Japanese Landscape & Garden Design Company offers a progressive style and look of ideas in Japanese style garden landscaping design and architecture either in traditional style or a mix with modern contemporary styled Japanese garden designs. Zens landscape design is the ultimate achievement in simplicity, dignity, tranquility and grace in its design to serve as an aid to meditation about the true meaning of living a life with nature. 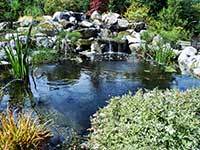 Our landscaping & gardening service contrives to display the balance of nature using many elements to create a setting of absolute peace and tranquility, making a clear and unique statement! 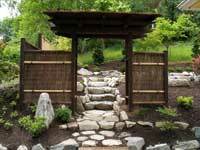 See for your self of what we have accomplished these few years in providing Japanese influenced garden design. 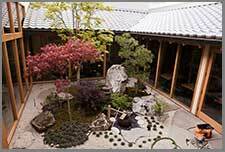 Business or for your home, Zen garden design enhances the beauty of your surroundings with emphasis of interpretation, style and idealized conception of Japanese design and elements used in Japanese landscape architecture. 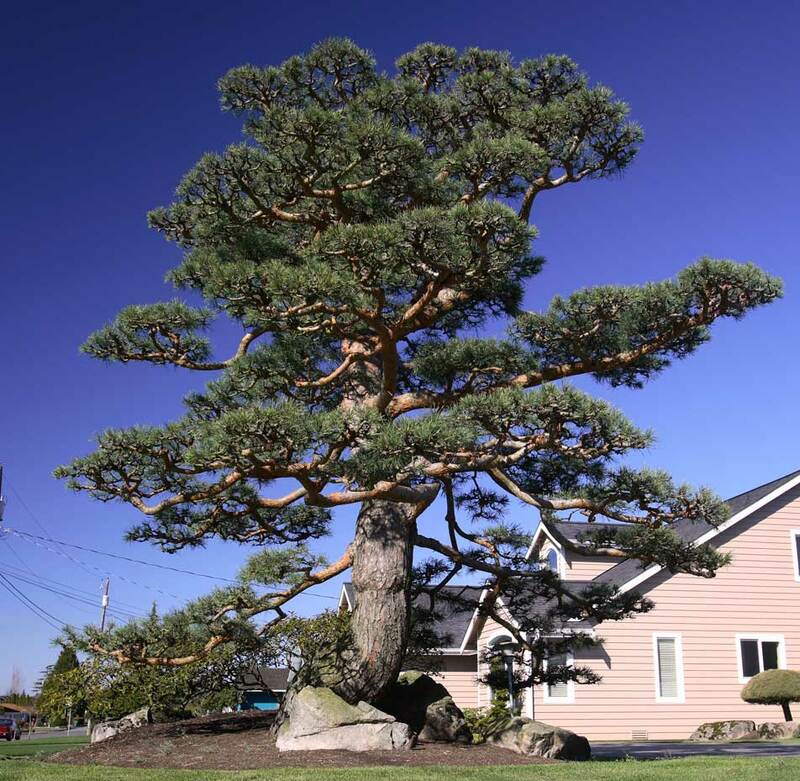 Small spaces or large, with our expert design team, we can give permanence to your landscape, "a Japanese garden design that you'll find gratifying for many years with seasonal changes to gratify your sense of well being." 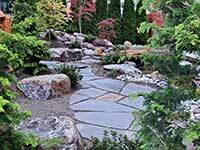 Our unique ability to combine many elements to our design, gives our clients, one of a kind landscapes . For every season there is a turn, our designed landscape gives a distinct flavor as the season arrives that you will find comfort for every reason. 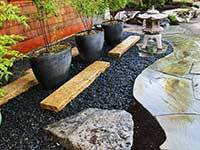 Take a look at some of our clients landscape and you may find some ideas for your home or business. 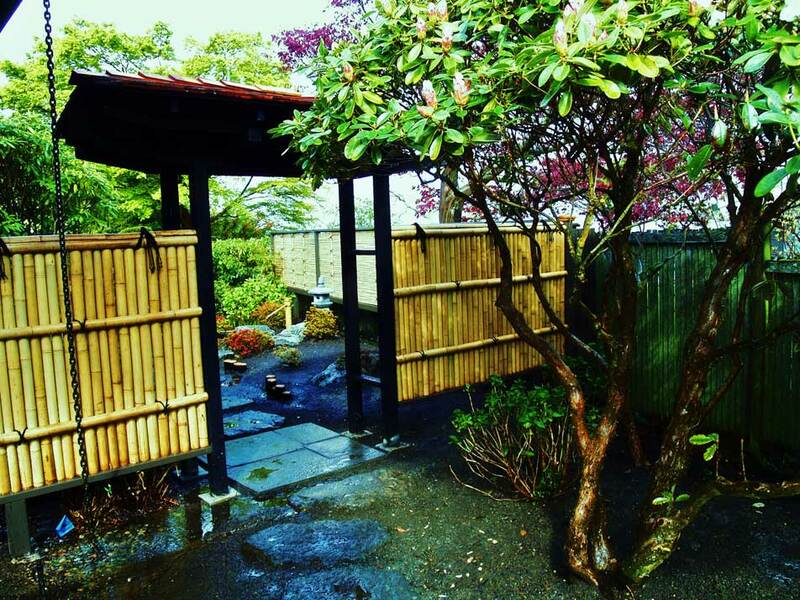 From small projects to large, our services encompasses wide range of capabilities to provide you with a clean environmentally safe and clean Japanese garden. From pruning trees , botanical design to just taking care of your new garden, we consult every project with utmost care. 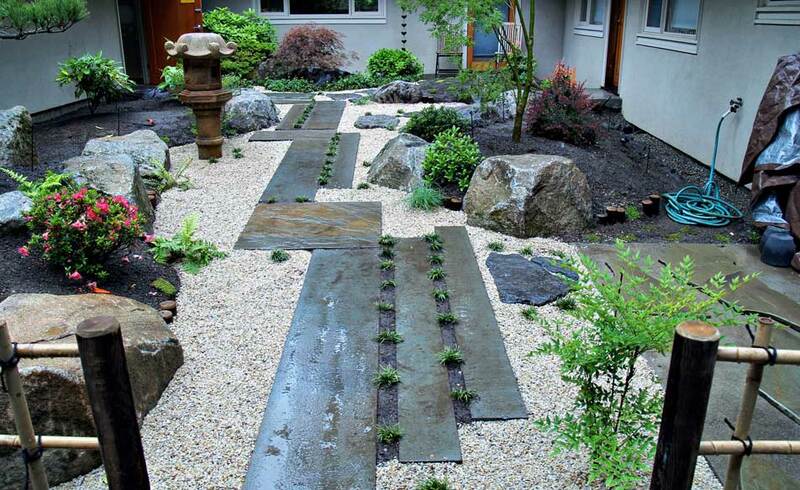 From traditional Japanese garden design to more modern contemporary design, call us and find new possibilities in gardening & landscaping design. 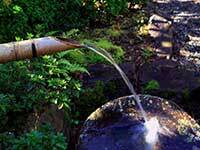 Bamboo water fountain with tsukubai rock garden basin, surrounded by our botanical design. 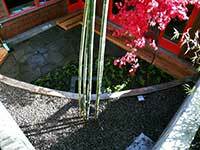 Stone & Rock garden walk way in courtyard with bamboo fencing and Japanese stone lantern surrounded by our expert tree pruning. 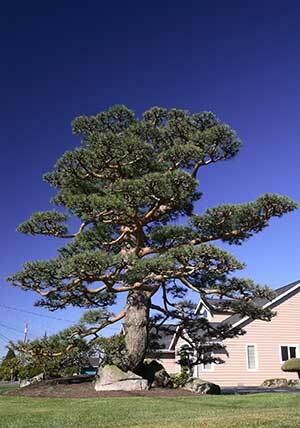 Over a hundred year old pine with our tree expert pruning. 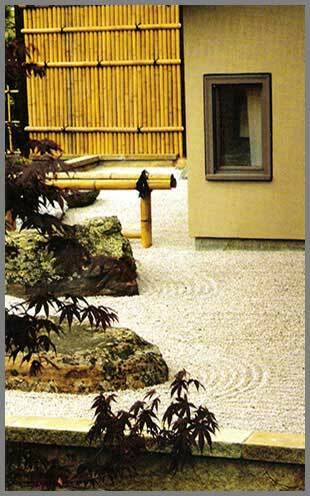 Japanese traditional garden design with use of sand, bamboo fencing and rocks. A Every landscape small or large has a unique characteristics that we must contend to when designing. 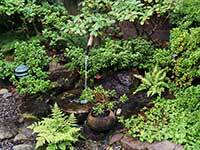 So, every garden has it's unique character when we design a garden for a small corridor or designing for a large landscape. 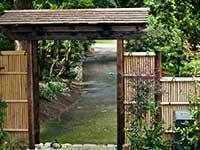 Choose from our traditional garden design to more modern contemporary Japanese design, we assist you through the process every step of the way, incorporating your design concept. 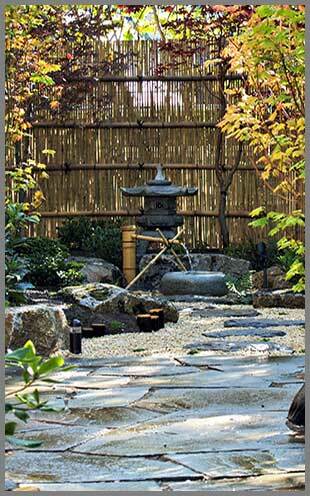 B Implementation of a garden environment should be beautiful in its aesthetics as well as fitting to the environment. 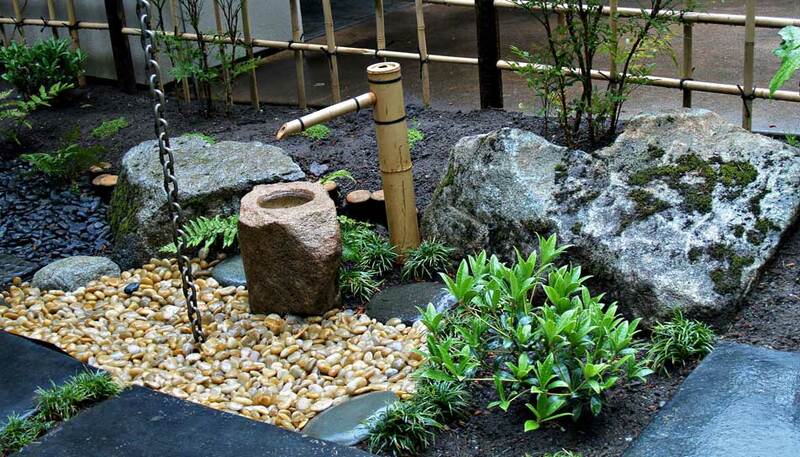 We at Zen Japanese Landscape strive to bring a more environmentally clean garden design that is simple and yet beautiful, utilizing the natural elements in our design. 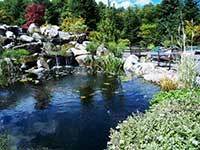 C We at Zen, provide many services when it comes to Japanese Gardens, from gardening services to restoration, renovation, pruning trees to match the Japanese garden design. We take extra careful steps in reaching your goals for your home or business and continuously advise to maintain your garden into the future. 1012 Evergreen Suite 25 Box 532.